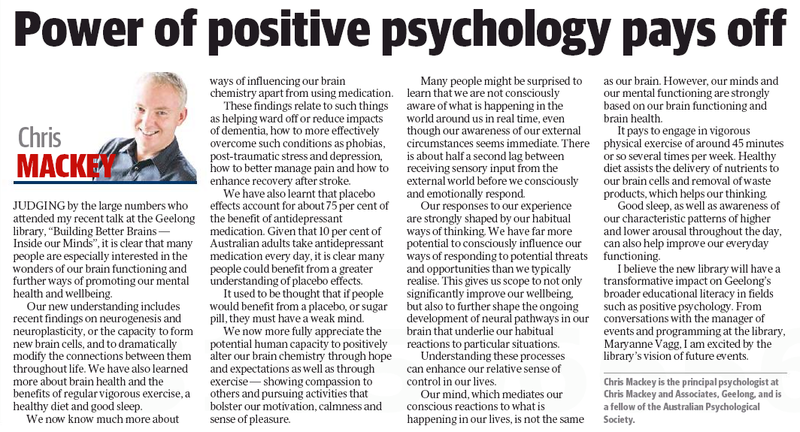 This article relates to a number of recent findings in regards to the how positive thinking affects our brain chemistry. It used to be thought that if people would benefit from a placebo, they must have a weak mind. We now more fully appreciate the potential human capacity to positively alter our brain chemistry through hope and expectations, as well as exercise.